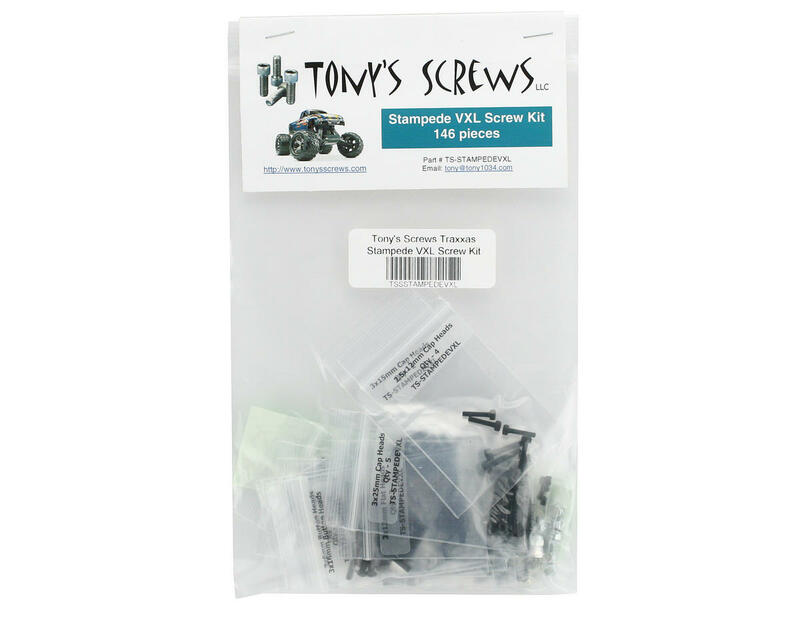 This is an aftermarket screw kit from Tonys Screws for the Traxxas Stampede VXL off road truck. Traxxas Stampede VXL 146-piece high grade alloy steel socket head screw kit. Kit include all applicable cap, flat and button head screws, as well as nuts, washers and set screws. Please note: The kit does not include the 3x12mm shoulder screws (Traxxas Part # 3642X). These are a specialty item and will not be included in the kit.